Yes, Boomers, You Can Go Home Again! I returned to my hometown after more than 45 years — and wrote this book, The Artist’s Eye: Vernon P. Johnson’s Watercolors of 1950s Small Town America. You couldn’t find a more typical small town in America in the 1950s, and my father, an artist, recognized that immediately. He painted more than 100 watercolors of this Midwest community of 15,000 in central Ohio — in fact, a town officially recognized as a “typical, small American city” by the US State Department. In my Womantraveler blog, I wrote about what it’s like to go back again and rediscover your hometown. In our mobile Boomer and post-Boomer society, that’s been a subject of many conversations in recent months since the book has been published. The Artist’s Eye portrays a time that has been lost all over America — the first full Baby Boom decade of the 1950s, an era of small towns, families who lived in their communities for generations and genuinely held a spirit of optimism about the future. While I began this book as a way of honoring my parents, our family’s legacy and the great gifts of Mount Vernon, Ohio, and Knox County, I soon understood that my own story is not unique — it’s one of those irretrievable stories of our Baby Boom generation. In another post, I’ll share some of the other comments. Today I was talking with a colleague from Columbus, Ohio. He is another Midwesterner who lives nearby Mount Vernon, and he affirmed my theme — my father, an innovative marketing guy in his own right in the mid-century, preserved a story familiar to us today through his paintings. In Dad’s case, it was probably unintentional — he simply knew good visual material when he saw it and, deep down, he believed in the story that he was telling through his art. 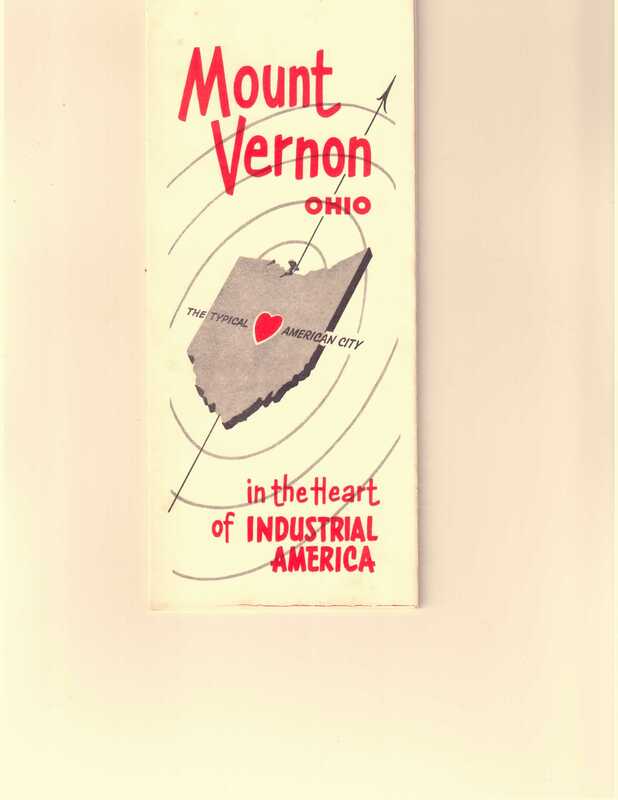 There were Mount Vernons all over America back then and they’re gone or at least quickly disappearing. You don’t have to be related to the people described in this book to know that, in essence, they are our “cousins” dispersed in the small towns and big cities across America and sharing similar memories and values. I now live in California and since I published this book, I’ve connected with many people — but perhaps most startling is that a woman who grew up in one of the houses that my Dad painted in this book now lives within a mile of me! Our fathers worked together, and I knew her house well. That is what small towns do — they send us out, keep us close and deeply embed our roots in us. I hope this blog will become a place for all of us to share our stories. What are your memories of the ’50s and growing up as a Baby Boomer? Please share them! This entry was posted in Uncategorized and tagged 1950s, 1950s American art, 1950s American culture, American watercolor artists, Baby Boomer history, Hometowns, Midwestern scenes, Ohio history, Small town America. Bookmark the permalink.